The National Partnership is a grant-funded community of practitioners whose work combines research, innovative policy development, and advocacy to reform our nation’s pretrial justice system. The collective power of the partners ensures that we are bridging disparities within the pretrial system, identifying opportunities for collaboration and elevating efforts to reform the system. National Partnership partners share a commitment to protecting individuals’ constitutional rights, improving community safety, and reducing the cost burden on taxpayers who foot the bill for unjust pretrial detention. CEPP will provide training and implementation assistance under Arnold Venture’s Advancing Pretrial Policy and Research project, supporting a variety of pretrial improvements and including intensive assistance in up to ten Research-Action Sites over five years. Learn more about this partner organization. RTI, Stanford University, and NYU will rigorously evaluate the impact of the Public Safety Assessment in the Research-Action Sites, as well as conduct additional research on risk assessments. The Bail Project will collaborate with Innovations for Poverty Action to develop key research questions and methods for conducting a full research study measuring the impact of bail. This process will be foundational and invaluable for understanding how our data can be leveraged to provide research for systemic policy change. Center for Court Innovation is studying ways to address racial disparities in data-driven risk assessment models. Duke University will assess how bias can influence predictive modeling and develop new approaches to mitigate bias. 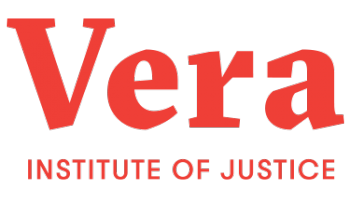 Vera will create 50 state-level reports that expose the interplay of jail and prison populations, and an infrastructure for original data collection to supplement Bureau of Justice Statistics data collections. Vera will also leverage close to real-time corrections data from individual corrections department websites to shed new light on the opportunities for, and impact of, reform. Pretrial Justice Institute will look at how the pretrial field’s use of legal and evidence-based practices has changed in the last nine years. The New York City Criminal Justice Agency will look at the direct impact of pretrial detention for different defendant populations, as well as associated broader collateral consequences. NJDC is launching the Campaign to Reduce the Use of Cash Bail as a Restraint on Youth Liberty, a collaborative education and advocacy effort to change policies and practices in the 22 states that hold children in detention when their families are unable to afford bail. A randomized control study in Dane County that will examine the usage of the Public Safety Assessment by judges when making decisions about pretrial release or detention. A five-year study to better understand what happens during diversion program participation and pretrial detention that might inform individuals’ short- and long-term criminal justice outcomes. RTI International will design and conduct an evaluation of the Public Safety Assessment (PSA) for insights regarding how the PSA influences legal decision-making, and the PSA's effectiveness in predicting risk compared to decision-making without its use, which will support ongoing development and dissemination of the PSA. The National Center for State Courts will discover, document, and disseminate guidance on the most effective practices for misdemeanor and felony caseflow management in the state courts. Duke University will assess the predictive validity of the Public Safety Assessment and produce open source software to deploy new models. A deep dive into data in New Jersey that could be used to strengthen the Public Safety Assessment. NAPD will conduct public education and targeted litigation based on the Louisiana Public Defender Board’s workload study, which determines the number of hours required for public defenders to provide reasonably effective assistance of counsel as required by the Sixth Amendment. University of Pennsylvania will examine the impact of giving public defenders’ offices greater information on recidivism. MDRC will evaluate the Public Safety Assessment (PSA) in select jurisdictions. Among other questions, MDRC will explore whether the introduction of the PSA and other pretrial reforms lead to changes in defendants’ release conditions at initial appearance and whether the introduction of the PSA and other pretrial reforms lead to changes in case outcomes. A study on the impact of vertical representation, a public defender service delivery model in which the attorney initially assigned to an indigent client’s case provides continuous representation to that client throughout the court proceedings. A first-of-its-kind study on the impact of early assignment of defense counsel. Institute for Innovation in Prosecution will develop and implement a roundtable on prosecutor-led pretrial diversion and deliver a series of research and policy papers to set the stage for a robust diversion research agenda. The CUNY Institute for State & Local Governance will provide research and technical assistance to the Kings County DA, and launch a data and transparency initiative, followed by an evaluation of Justice 2020. At any given moment, almost 500,000 criminal defendants are awaiting trial in U.S. jails. While these individuals have not been found guilty of any crime, they remain in custody either because they were deemed too dangerous for release or because they are financially unable to meet the bail assigned during the arraignment process. This project will explore the consequences of high bail and pretrial detention. Core Correctional Solutions will conduct research using a novel dataset from the state of Kentucky in order to assess the Public Safety Assessment. New York University’s Public Safety Lab will study the impacts of bail, pretrial detention, and counsel practices on defendant-level outcomes across diverse counties. This project will capture baseline data regarding prosecutorial decision-making, assessing the state of prosecutorial decision-making data collection nationwide, and identifying potential areas for future data collection.